Running an online ministry requires a ton of work. On this page, I wanted to share the tools I use to make this ministry go-round. If you have your own ministry, or are considering starting one, I hope you find this list helpful as you answer your calling. "I want to explain a little bit on how I build the website and the articles. Since I use a company called "SiteSell" to build my website, I am able to use their brainstorming software to find out what search terms people are searching for the most and how many other websites already have pages on that term. Therefore, I will build certain articles around the search terms people are using the most and yet have the least amount of other WebPages already written about them. I use these terms in the title and sprinkle them throughout the article. Then, these search terms get noticed by Google and Yahoo and they'll list my page when people search for that term. That's the way I get most of the traffic to the site." When I took over as the director, I considered switching to a WordPress site. Those are what I am most familiar with and they tend to be more affordable. However, I decided to stick with SiteSell for our ministry. While it is a bit more expensive, I truly believe it's worth it. SiteSell provides an all in one program to help you design your site, add forms, updates, etc. It makes approving submissions from teens super easy, and really, it is the most comprehensive system I have ever used for a website. For our e-mail list management, we use TrafficWave. We love how affordable and straight forward it is. We also use Gmail for responding to individual messages. I love their ability to use canned responses, so I am not starting from scratch every time. It also allows me to check all my messages in one easy location. Every author needs a word processor. I personally love Microsoft Word. Openoffice.org has a similar software available for free, and I have used it in the past, but I simply love Microsoft Office and use it for all of my writing and book formatting. We publish our print books through CreateSpace, Amazon's self-publishing platform for print books. We publish all of our books on Amazon directly through their publishing platform. This is a free tool I use for re-directing Amazon links for our books to the correct countries. That way everyone gets a link that works for them. You can find out more about it in this post I wrote. 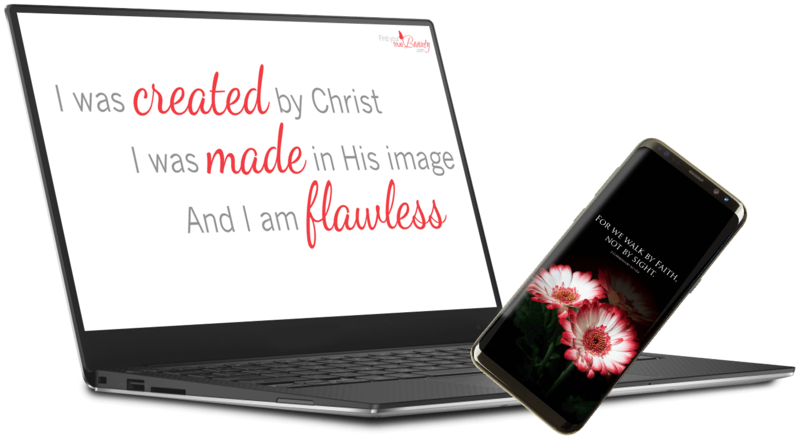 Shelley Hitz, the founder of this website, is dedicated to helping Christian authors get their message out. You can learn a lot by visiting her website here. She talks about building your online platform and publishing your books. You can also learn about self-publishing by getting a copy of our free eBook, Self-Publishing Books 101. It's available free for Kindle here. I use photoshop for designing everything from website images to book covers. I’ve tried the free software that’s out there to do these things, and I just love how fluid Photoshop is. It is an investment, but it is my favorite graphic editing tool, and I really think it’s worth it. It will save you a ton of time and headaches. WordSwag is an app I have on my iPhone. It simplifies the creation of quote photos and lets me easily add my watermark and share them on social media. I simply LOVE it. I mainly use it for creating quote graphics for Instagram, but I have used it for graphics for the website and other social media sites as well. I think Dropbox is a must have for any author. It backs up your files in a cloud that you can access from any computer. You can share folders with co-authors, cover designers, editors, and more. I simply LOVE it and would be lost with out it. It takes the need for e-mailing files back and forth out of the equation, allows you to work on your book/project from any computer (or device) and best of all, it’s free. I did pay for the pro version because I keep so much in it. It's the easiest way to back up everything I need. And If my computer ever crashes, I don't lose a thing. I LOVE LastPass. It keeps me sane by managing all my logins, passwords, and also allows me to give access to specific accounts to outsourcers without giving them my password. Plus, I can access it on any computer and on my phone. There is a free and paid version, both are awesome. You can watch my LastPass tutorial here. I use Skype for almost all of my meetings. It's a lot safer than giving out a phone number. Plus it's free and allows you to do video calls, screen share, or just audio. It's perfect for me. This is a video recording and editing software that I really didn't want to get. But now that I have it I love it! Once you get familiar with it, it is actually super easy. DISCLOSURE: Please know that some of the links on this page are affiliate links. If you make a purchase through them, I may make a small commission. This money helps me cover the cost of using these great resources and keep this ministry running.